Belgian students demonstrate in central Brussels. British schoolchildren are planning to walk out of lessons on Friday 15th February, as part of a growing movement demanding urgent action on climate change. Pupils are being encouraged to put down their pens for three hours and go on "strike", with protests planned in more than 20 locations. The children are following the example of tens of thousands of their peers across Europe, who have been holding regular marches since January. Some of the largest protests have been held in Belgium. 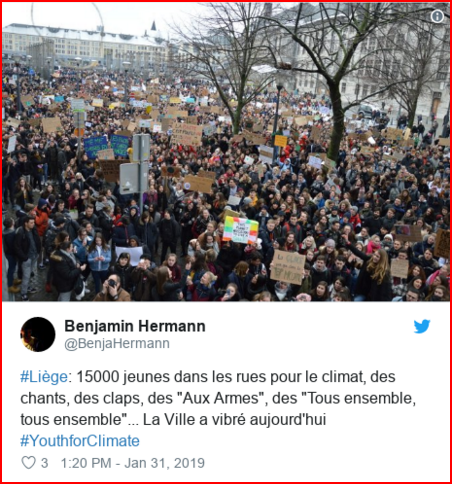 One demonstration, in Liège, drew 15,000 people - parents and grandparents joining students as they marched to the city hall with chants of “to arms”. 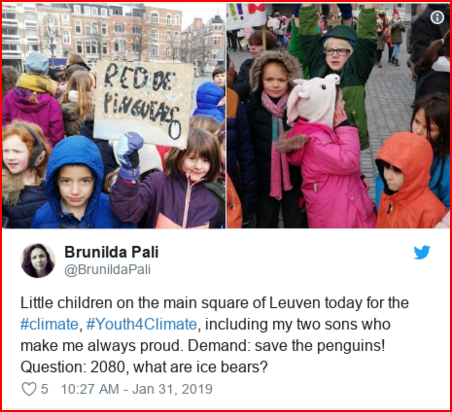 The young marchers had the backing of a coalition of 3,450 Belgian scientists who wrote an open letter warning that current policies will lead to a disastrous 3-degree Celsius rise in global temperatures. The strikes have even led to the resignation of a Belgian environment minister, who falsely claimed intelligence agencies had evidence the children were being "set up". In the UK, MPs, newspaper columnists, and even some teachers have backed plans for Friday's action. The National Association for Head Teachers initially showed their support, applauding older pupils for making "an informed decision" (although the organisation has since stressed that it does not condone children missing school). And the UK Student Climate Network, which is helping to coordinate the strikes, is keen to keep the adults onside - advising pupils to get written permission from their parents first. Under the banner #FridaysForFuture, school strikes of varying scale have spread worldwide, from Germany and Switzerland to the US. And the inspiration for all of this is a 16-year-old girl from Sweden, Greta Thunberg. It’s a message that she has now delivered in person to world leaders and the most influential figures in business. As she addressed the 2019 World Economic Forum in Davos, Greta was frank. 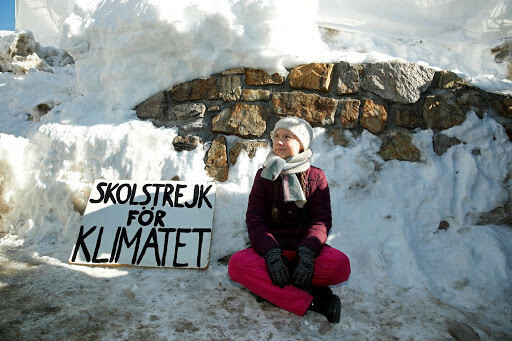 Swedish environmental activist Greta Thunberg staged a sit-down strike in Davos. Greta has faced criticism for her stance - she has been accused of encouraging truancy, and even her parents think she ought to go to school. 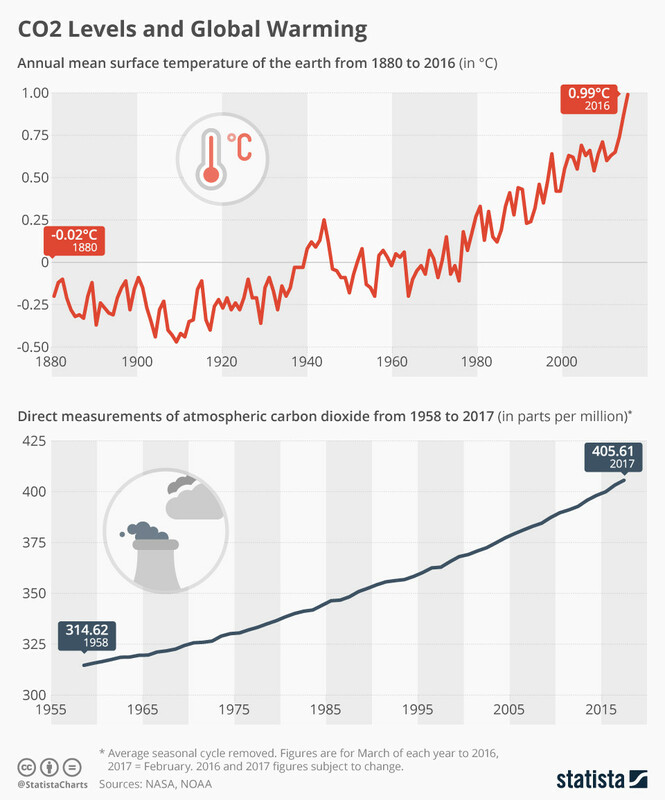 But she is unbowed, and makes a compelling argument: either action is taken immediately to reduce emissions and limit global warming, or the very survival of human civilisation is at risk. Her uncompromising message has struck a chord with young people who don’t yet have the power to vote. She has 172,000 followers on Twitter, and many of those are answering the call to action. Meanwhile, the children of Belgium, Germany, the UK and other nations say they will keep up the pressure on the grown-ups, demanding actions rather than words.